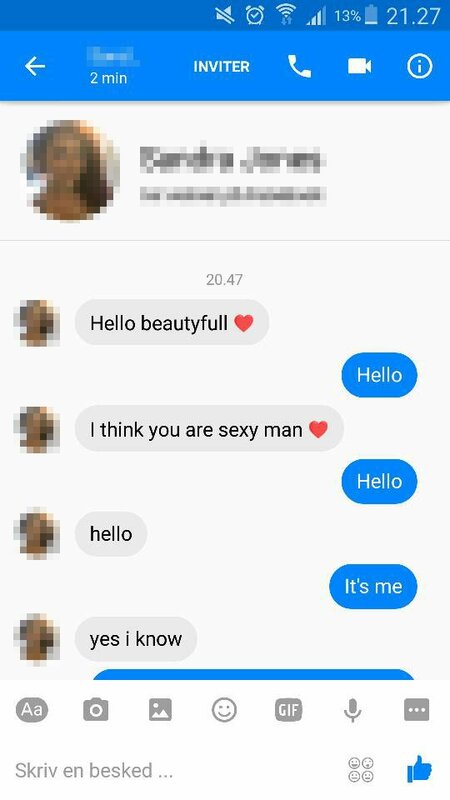 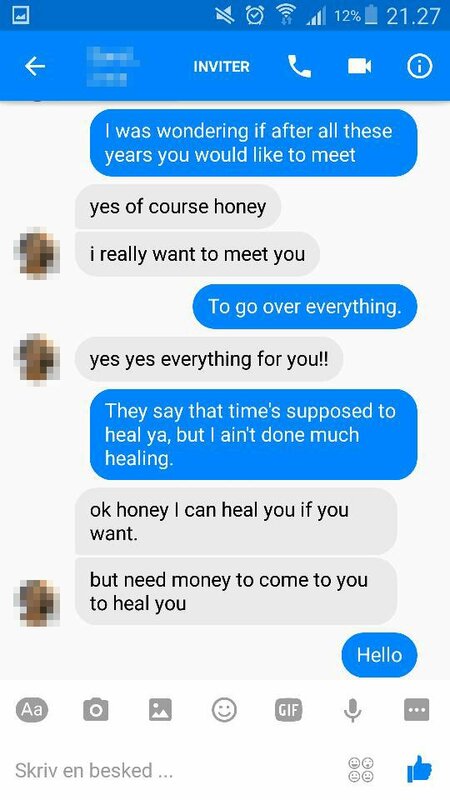 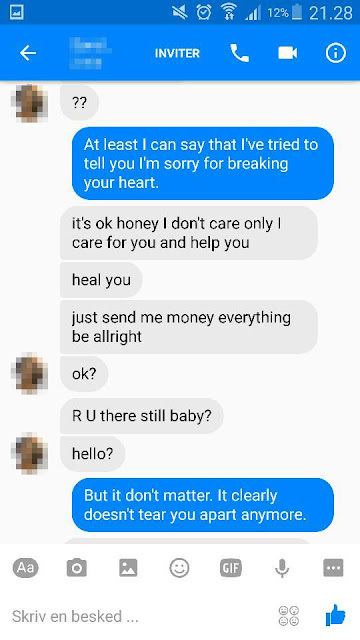 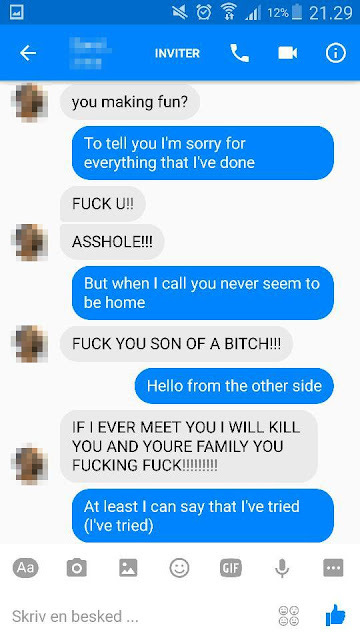 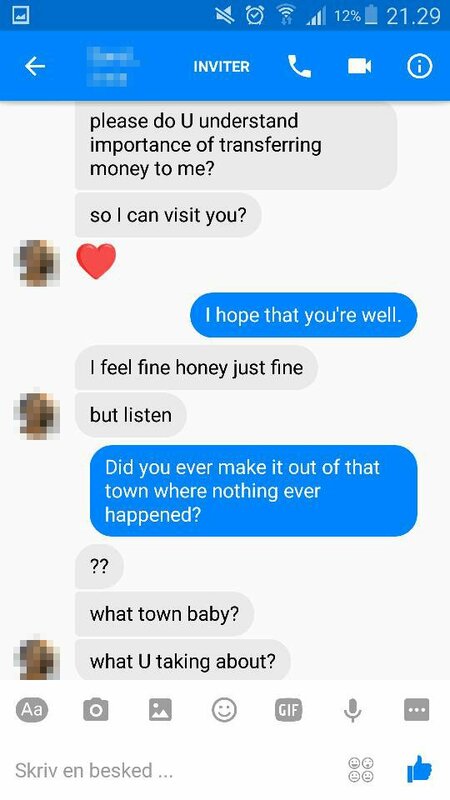 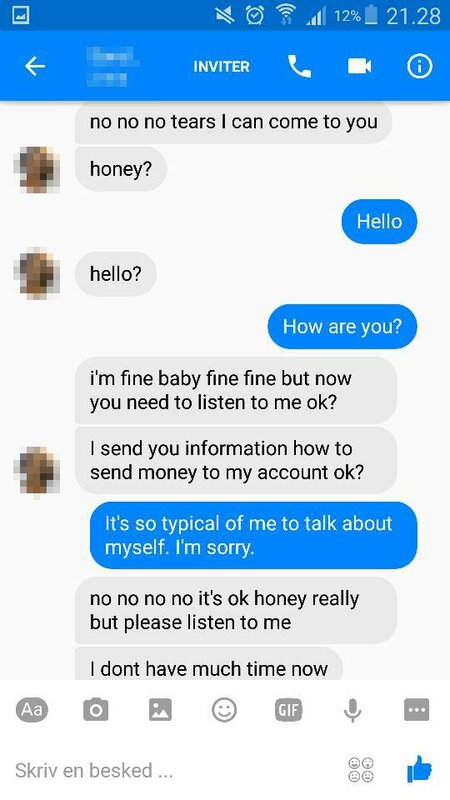 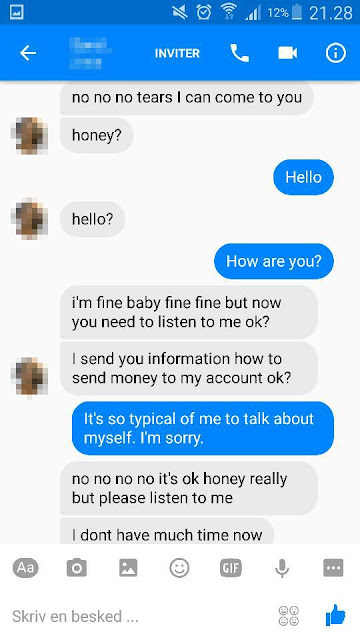 A Danish guy “won the internet” by finding a unique way to greet Hello to a seductive Facebook scammer. 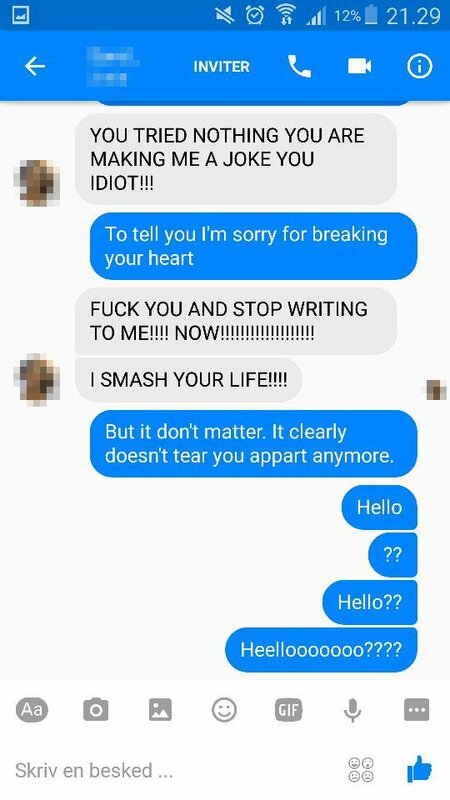 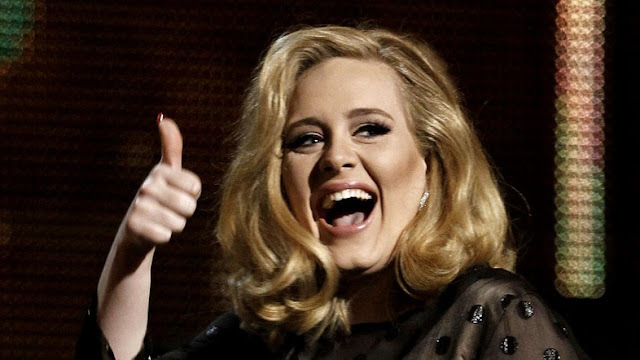 He simply typed the lyrics of Adele’s sensational hit “Hello” as they exchanged messages. 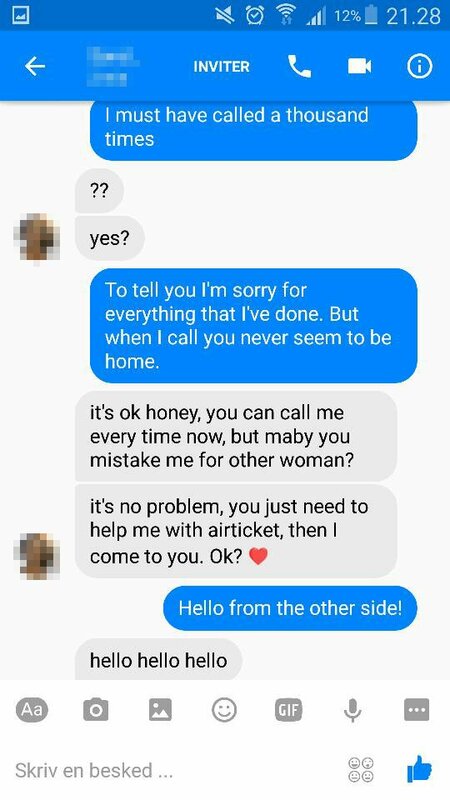 Frank Flemming Jensen was approached by a lady scammer on the social networking site who begged for money to book a plane ticket to see him. At first, the shady Facebook user flamboyantly and desperately lured Jensen by calling him “beautiful” and “honey.” On the other side of the line, Jensen was suspicious and aware of her dubious intentions and chuckled at her pleas. 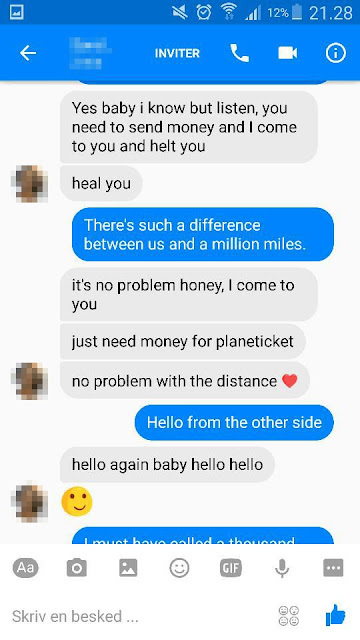 Jensen posted snapshots of the conversation on his Facebook account, which amassed 17,000 likes and 8,000 shares as of Thursday (30 June 2016). Sebastian Kirk, a Danish Reddit user, was fascinated with the snaps and he uploaded the conversation on Reddit where it has been viewed more than 309,000 times and earned 17,640 Reddit points. 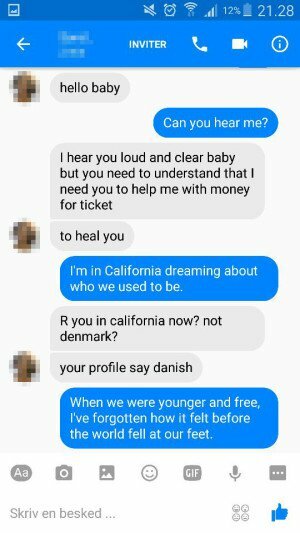 Jensen disclosed to Danish news site Metroxpress that he was listening to Adele’s song on the radio when the scammer sent him the saucy messages. 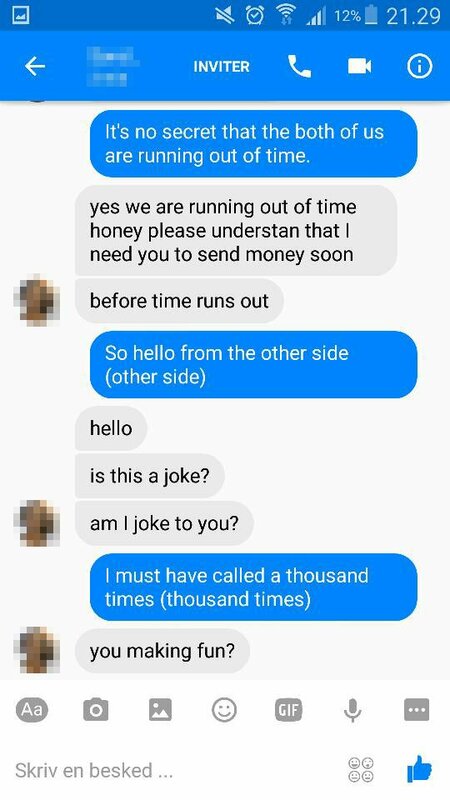 “I sat alternately and screamed with laughter behind the screen and in between, I marveled tremendously over the person who desperately tried to lure money from me,” he expounded.